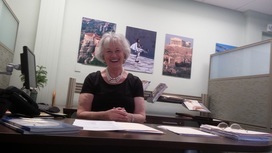 The Travel Gallery is a very successful family-owned business. We have been providing award-winning services to our clients since 1985. We are a full-service agency serving our community with concierge-style service. Our travel consultants may be booking a simple airline reservation or an extremely complex international tour. Our success is based on our commitment to a very high level of customer service, dedication to teamwork and a commitment to meeting the needs of our clients. Work with clients to plan, research and reserve leisure and corporate travel. Create custom domestic and international travel arrangements for individuals and groups. Take responsibility for reservations in your care. Meet all deadlines, think ahead and anticipate client's needs. Document and organize bookings with ClientBase reservation management software. Reach out to clients post-travel to make sure all arrangements were completed to their satisfaction. Organize and file brochures as requested. Consistently meet or exceed individual and company-wide service and sales goals. Be a team player. Stay informed on travel trends through research and educational travel. Keep up-to-date on Signature Network programs and benefits. Promote destinations and trips through personal networking and marketing channels. We seek individuals who are enthusiastic, energetic and have a passion for travel and a strong desire to assist customers. Experience in working with 'high-touch' VIP clients is required. Luxury travel skills and international travel experiences are a huge plus. General knowledge of cruise and tour operators. Knowledge of booking procedures for airlines, hotels, cruises and tours. Worldspan, CientBase, or other GDS system experience is helpful. Deep understanding of email, texting and other social marketing tools. Comfort in reaching out to find new customers; promoting destinations and trips through emails, travel blogging or new marketing initiatives as they develop.